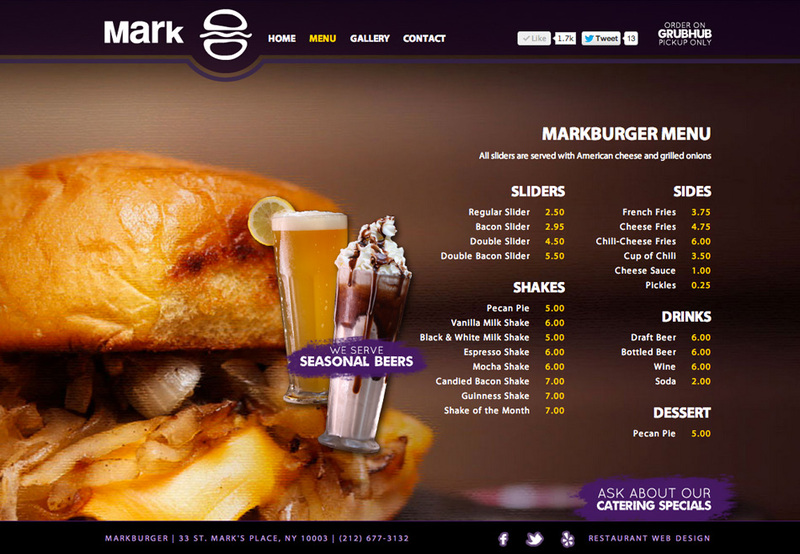 Mark Burger, located in New York City on St. Marks Place, was in desperate need of a new website to replace its outdated Flash site. TVI designed an award-winning site for them . We approached the project with the idea of making it simple, but fun, and instantly grabbing the attention of the visitor with the food. 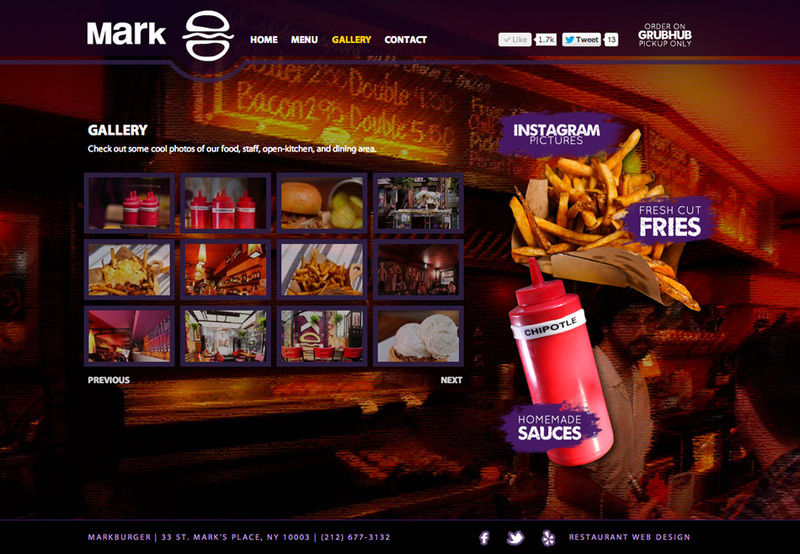 The site uses parallax for site movement, and we can truly say it was a success. 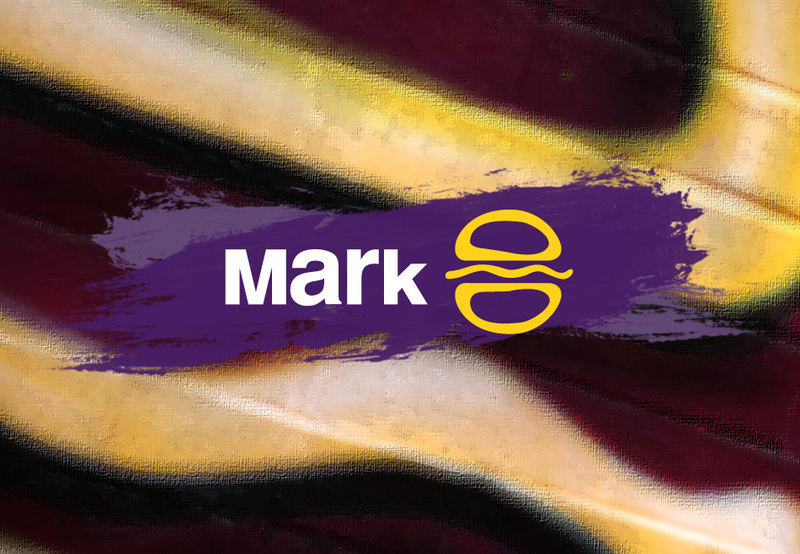 With large, colorful imagery, improved content, and a better social media integration, the new Mark Burger website allows for better digital marketing of the business, in addition to a more pleasant user experience and higher quality brand image. Social Media integration for Twitter, Facebook, and Instagram were crucial for the new site, as well as online ordering through GrubHub. The new site also helps to promote specials, catering, happy hour, and their Instagram photos. Additional features including a contact form and google map help customers connect with the business.